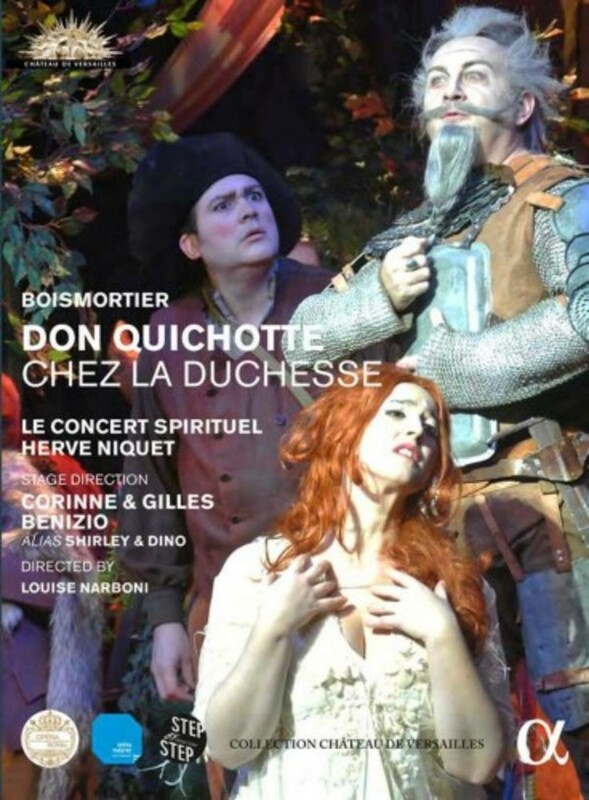 Boismortier’s opera-ballet Don Quichotte chez la Duchesse, written for Carnival and first performed in Paris in 1743, occupies a particular place in Hervé Niquet’s career since it was the first work played by Le Concert Spirituel 27 years ago: ‘In addition to being composed by a genius of the Enlightenment, this comic opera is a gem of music, wit and humour’, he says. The wit of the famous Benizio couple is felicitously expressed in this story in which they have rewritten the comedy scenes that had disappeared: ‘From this succession of episodes, one more incongruous than the next, from this incredible accumulation of remarkably constructed gags (Niquet as Don Quichotte, Corinne Benizio/Shirley in a hilarious cantadora number, accompanied by Hervé Niquet with castanets, Gilles/Dino singing - not too badly! - a courtly air with harpsichord whilst the hysterical Duchess bellows in the wings), ensues a perfectly mad show’ (ResMusica). Worth noting: the performance of the singer-actors and the splendid costumes and sets. A total spectacle filmed at the Royal Opera of the Château de Versailles. Bonus: a 52-minute documentary on the behind-the-scenes preparation of the production.